Jason Jacobs was born in Pittsford, New York in 1981. He studied for 3 years at the Virginia School of the Arts under the direction of Petrus Bosman. During his training, Jason participated in programs at the Joffrey Ballet School as well as the Boston Ballet School. Upon graduating high school in 1999, Jason joined the Louisville Ballet company in the US. After one season in Louisville, he joined the North Carolina Dance Theater under the direction of Jean-Pierre Bonnefoux and Patricia McBride as a founding member of their junior company. After a year, he was promoted to the first company and over the next 4 years became a soloist. With this company he was exposed to the work of George Balanchine, Paul Taylor, Nacho Duato, William Forsythe and many American contemporary ballet choreographers. During this time, Jason created his first choreographic work titled Flow Form (2003). In 2005, Jason joined the Complexions Contemporary Ballet company in New York City directed by Dwight Rhoden and Desmond Richardson. With Complexions he was involved with several new creations and the re-staging of William Forsythe’s Approximate Sonata. He toured internationally. In 2006, Jason became a founding member of the Minnesota based TUDance company, directed by former Alvin Ailey dancers Uri Sands and Toni Pierce. While in Minnesota, Jason began writing music for voice and guitar, as well as teaching ballet classes for modern dancers, and leading dance workshops in public schools. In 2007, He moved to Germany to work for Johannes Wieland’s Tanzensemble in Kassel. During this time, he continued to create his own choreography. Jason created the small ensemble piece, Belonging (2008), and the duet, Sally and Ahkmed (2009). Both works were presented as part of the Staattheater Kassel’s Choreographic Workshops. Jason moved to London in August 2009 to join Hofesh Shechter’s Company. With the Hofesh Shechter Company, Jason toured Mr. Shechter’s earlier works of Uprising, and In Your Rooms. Jason was part of the research and a member of the original cast of Political Mother, premiered in 2010. During his time with the Hofesh Company, Jason began leading workshops in Mr. Shechter’s style of movement. This had a great influence on Jason in his understanding of movement and the use of visualizations to aid in discovering movement. In November 2010, Jason created a piece for students at The BRIT School, a London arts high school. This piece was based on the repertoire of Hofesh Shechter. In early 2011, Jason began a transition from working primarily as a performer for other creators to pursuing his own endeavors as a choreographer. Jason teaches company contemporary class for the Stadttheater in Giessen. He has toured Norway with Carte Blanche, the national contemporary company of Norway. In March 2011, Jason co- choreographed ONE, a piece for the new Cologne-based company SchrittArt with directors Guido Markowitz and Tarek Assam. Jason collaborated with classical musician and composer, Andrew Maddick, on the creation, Yesterday’s Bird (2011). This work was made possible by a grant from South East Dance (UK). The work premiered in Brighton in June 2011. It was performed at The Place Theater in London as part of Hofesh Shechter’s evening of his dancer’s choreography, In Good Company. 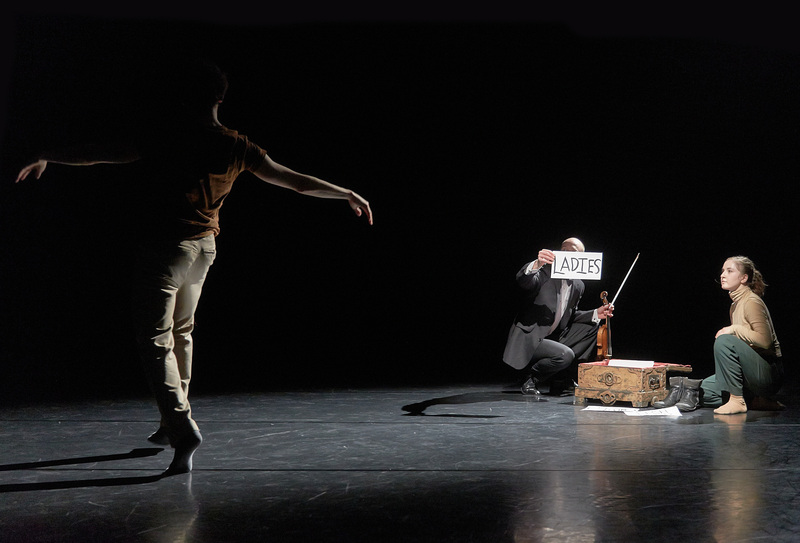 Yesterday’s Bird was also performed in Giessen, Germany at Tarek Assam’s TanzArt Ostwest festival. In November 2011, Jason created Was Machst Du Da? for JET, the youth company at the Tanzhaus NRW in Düsseldorf. Currently, Jason has returned to London for a guest appearance in Survivor, a collaboration between Hofesh Shechter and visual artist, Anthony Gormley to be performed at the Barbican Theater in January 2012..